Waterfront Products has been selling and servicing Feighner Lifts in Michigan’s Upper Peninsula and Northern Wisconsin since 2002. We offer the complete line of Feighner Cable Boat lifts inlcluding Easy Riser Vertical lifts, Cantilever lifts, and lift canopies. 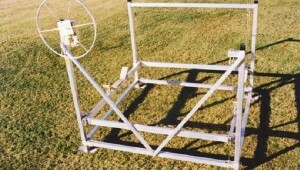 Feighner lifts are known for their strength, safety and unique design. Lifts can be custom fitted for V-haul boats, pontoon boats, and to safely accomodate antique wooden boats. Feighner’s Easy Riser Vertical Lifts have a triangular side structure for easy boat access. 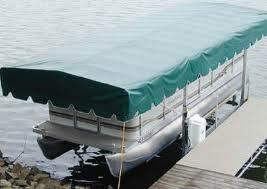 The heavy duty roller mechanism guides the boat onto the full-length carpeted bunks. Feighner’s Cantilever lifts are heavy duty in construction and offer a wide array of accessories for meeting all your lift needs. Feighner’s Canopies have a unique wrap-around design for better protection and use premium 18oz. canopy facbric for quality and durability . Canopies are available in several solid colors at no additional cost. Two-tone colors also available for an additional charge.